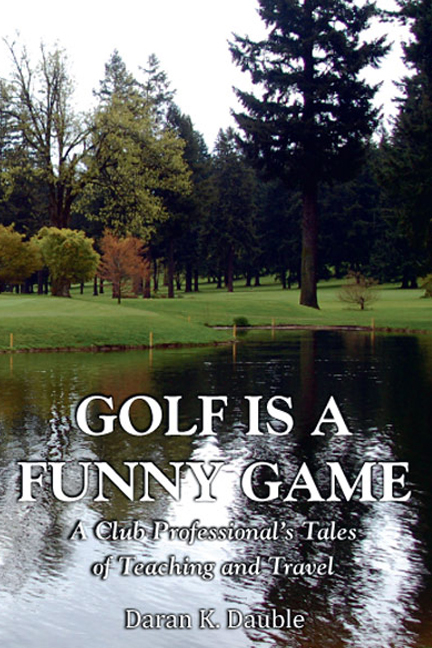 The first section of this well-crafted collection of essays contains a selection of practical tips from my brother’s website that cover the gamut of his golf teachings, including both mental and physical aspects of the game. Daran covers basic topics such as what a golfer wants out of the sport, when to take a lesson or get a club fitting, and how to relax when on the course. He also delves into more complicated topics such as “Blowups, Melt-Downs and Chokes” and how one finds “The Zone”. The second section of the book is a compilation of travel essays to golfing destinations around the world. What most of this book proves is making light of yourself and others can make golf more enjoyable. “Daran approached my lessons like a teacher who would like to help a student improve his study habits. By that, I mean he helped me to see what was the right way by showing me how to hit the ball the wrong way (my old swing).